Indianapolis, Ind — Missouri Southern State University and the Tom Rutledge Cross Country Course have been selected to host the 2018 and 2019 NCAA Division II Central Region Cross Country Championships the NCAA announced today. The Tom Rutledge Cross Country Course has hosted numerous MIAA cross country championship, as well as NCAA regional meets in 1999, 2001, 2004, 2007, 2012, and 2015, as well as hosting the Division II National Championships in 1999, 2007, 2012, 2015 and 2017. The Central Region Championship will feature schools from the MIAA, Great American Conference and the Northern Sun Intercollegiate Conference vying for spots in the NCAA Division II National Championship Meet. 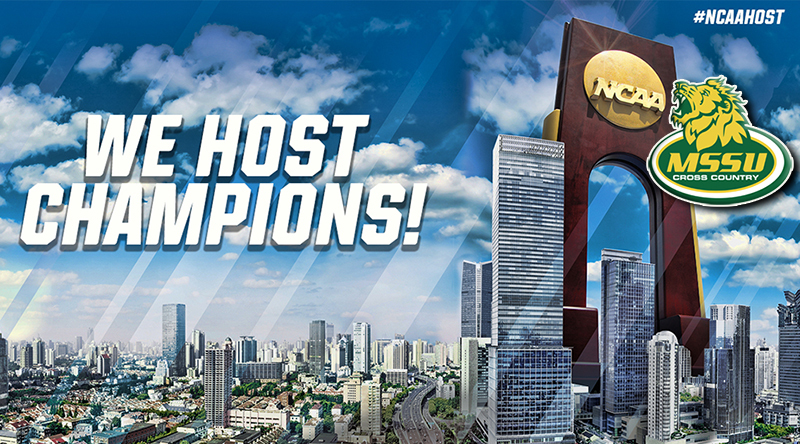 The 2018 National Championship will be held in Pittsburgh, Pa. as part of the Festival, and the 2019 National Championship will be held in Sacramento, Calif. hosted by Sacramento State University.